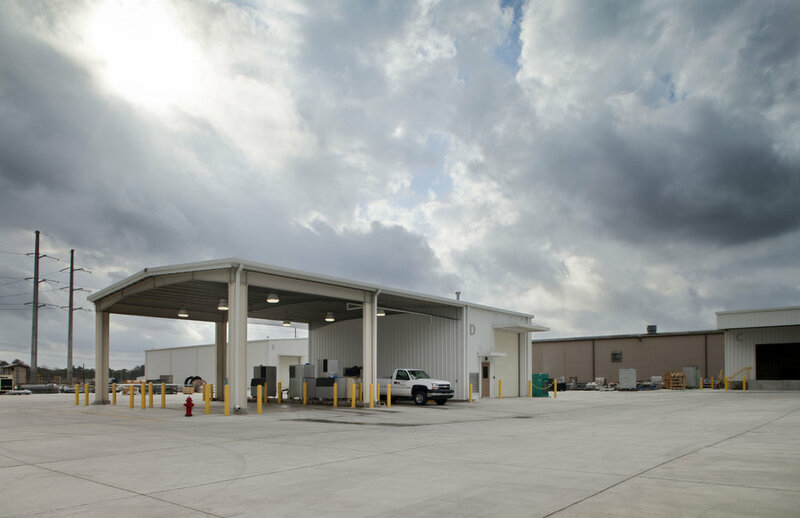 The complex consists of one main building and several metal buildings serving field and administrative employees. It features an office building designed to be flexible to the companies ever changing needs. 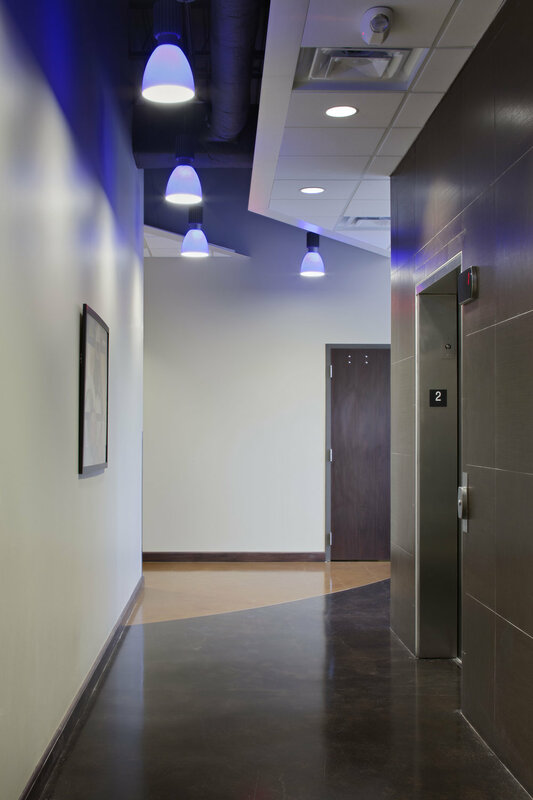 Features include cloud ceiling system, intricate concrete cut/stain patterns, administrative suite configuration, and several gathering spaces sprinkled throughout the building.